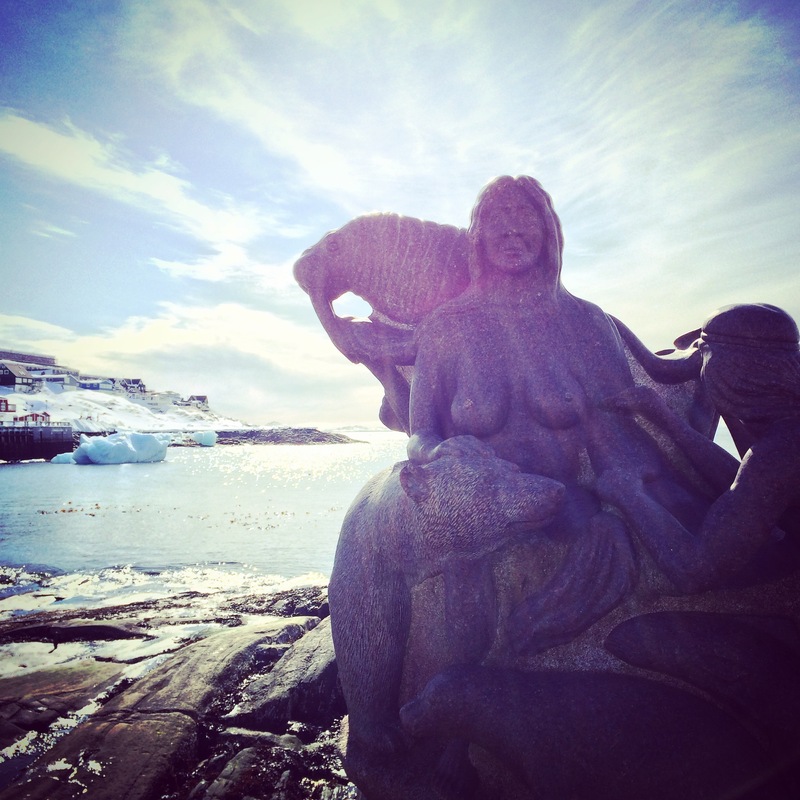 Sassuma Arnaa (“Mother of the Sea”) statue in Nuuk. Made by Christian Rosing. Photo taken April 2015. 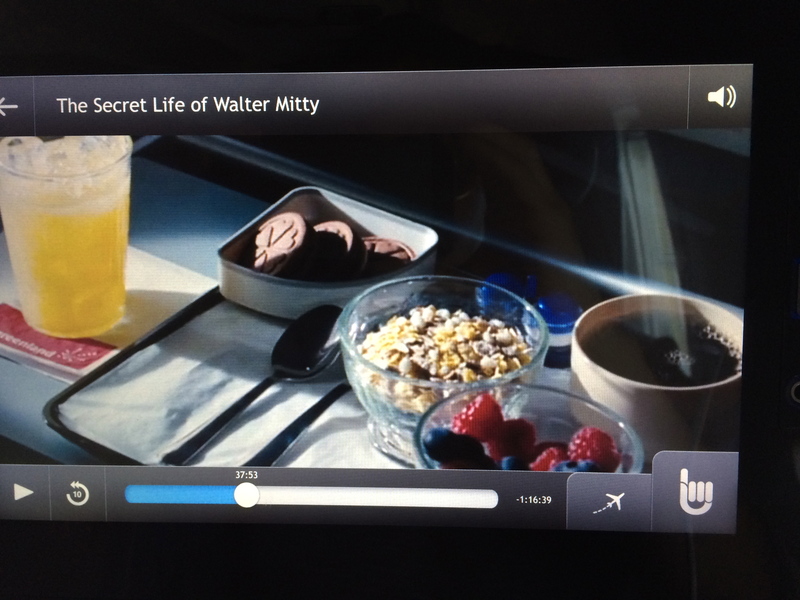 Remember that 2013 movie with Ben Stiller called The Secret Life of Walter Mitty? Remember how he traveled to Nuuk, Greenland with some package in tow? 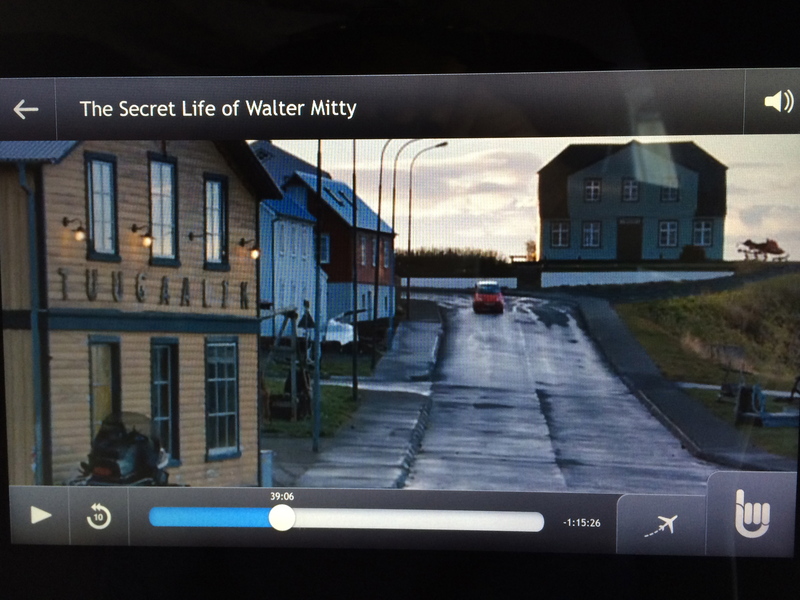 Well guess what – the scenes weren’t filmed in Greenland at all! Upon a closer look at the film, I really had a field day picking out the familiar and false elements used to portray Nuuk and Greenland. The Greenland scenes are only about 20 minutes of the movie, and in that span I noticed these 14 correct and incorrect elements. 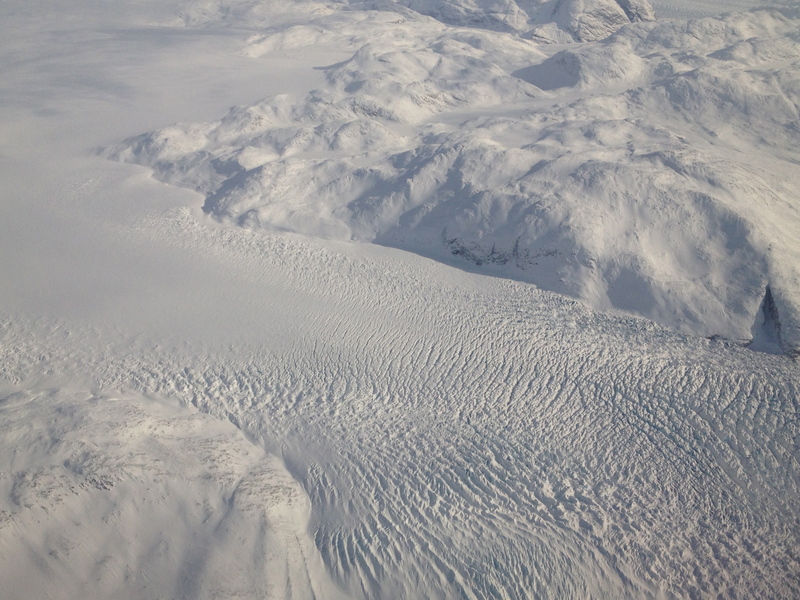 If you know Nuuk and Greenland, did you spot any others? 1. CORRECT: THAT’S THE TRUE AIR GREENLAND LOGO! 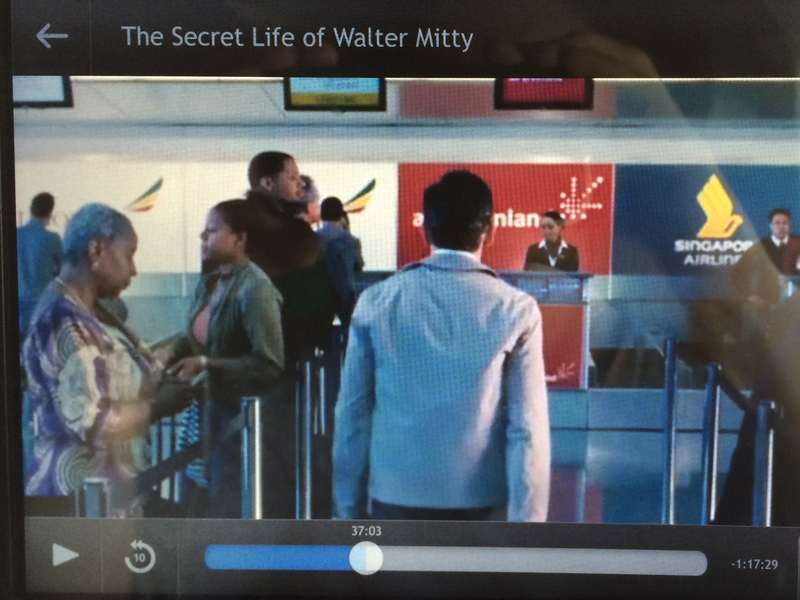 In this scene of the movie, Walter Mitty checks in at the airport for his flight to Greenland. The color, font, and logo behind the counter are all the unmistakable Air Greenland trademarks! True fact: Air Greenland has had its name since 2002, before which this national airline was called Grønlandsfly for 42 years and used water planes in the old days! 2. CORRECT – THE BAR’S NAME HAS A REAL MEANING IN GREENLANDIC! While there is no such bar called ‘Tuugaalik’ in Nuuk (or anywhere in Greenland to my knowledge), the word does have a real meaning in Greenlandic – “narwhal”. And, there is a fishing trawler boat by the same name in the Royal Greenland fleet. If this movie was more accurate, the bar name would be ‘Skyline Bar’, ‘Takuss”, ‘Kristinemut’, or ‘Manhattan Night Club’. 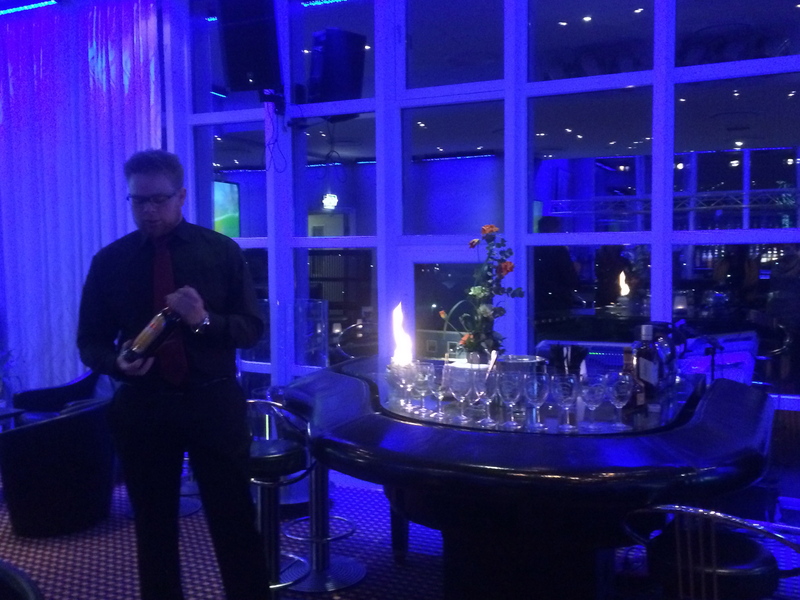 Skyline Bar, the swanky piano bar at Hotel Hans Egede in Nuuk. Taken March 2015. 3. 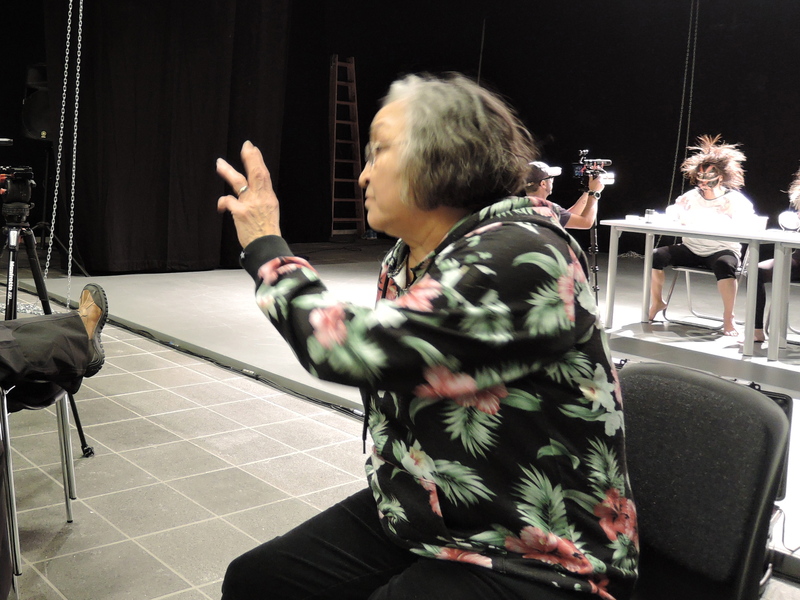 CORRECT – THIS IS MAKKA KLEIST, A NORTH GREENLANDIC WOMAN AND DIRECTOR AT THE NATIONAL THEATRE OF GREENLAND! I thought, ‘Hey, I know that woman!’ when this scene popped up! Makka Kleist is the fantastic Director at Nunatta Isiginnaartitsisarfia, the National Theatre of Greenland located in Nuuk, and I had the rare opportunity to spend an afternoon with her a few months ago. Totally in her element down at the Theatre, she kept me in rapt attention with her storytelling about Greenlandic myths and mask dancing. Makka Kleist, Director at the National Theatre of Greenland, in her right element! Taken April 2015. 4. CORRECT: THAT IS THE GREENLANDIC FLAG IN THE BACKGROUND! That red and white flag in the background is the real Greenlandic flag. It’s correct orientation is with the white portion on top and it symbolizes the Greenlandic nature. The Greenlandic flag is an important political and cultural symbol, and really many people fly a Greenlandic flag on their own personal flagpoles outside their homes. True fact: Greenland’s flag first came to be on 21 June 1985, National Day. The white portions of the flag represent ice elements in Greenland – the larger being the Greenland Ice Sheet and the smaller half circle being icebergs and sea ice. The red portions of the flag represent water elements in Greenland – the larger being the sea surrounding the island and the smaller half circle being fjords. 5. PARTIALLY CORRECT: SIGNS ARE WRITTEN IN DANISH IN GREENLAND. 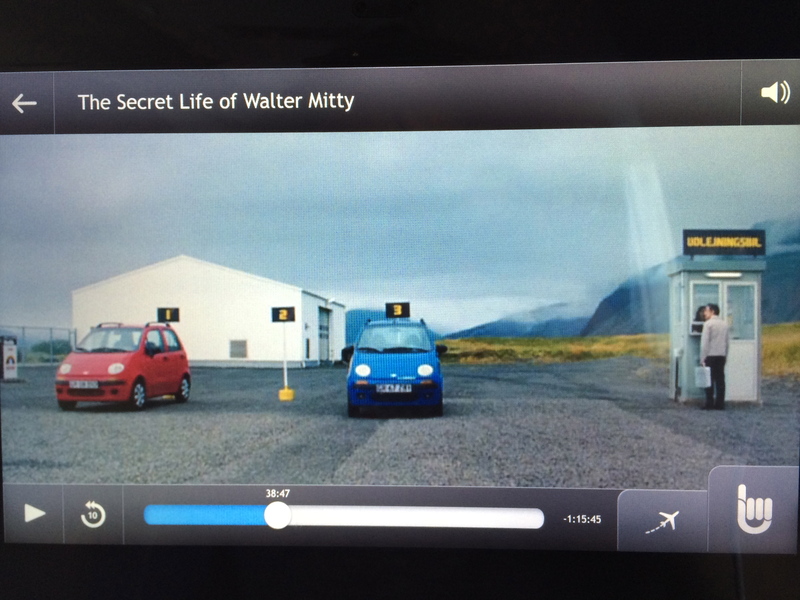 In the movie, “Udlejningsbil” is written on the rental car kiosk, which is Danish for “Rental Car”. As Danish is one of the two official languages of Greenland, this is an accurate portrayal. 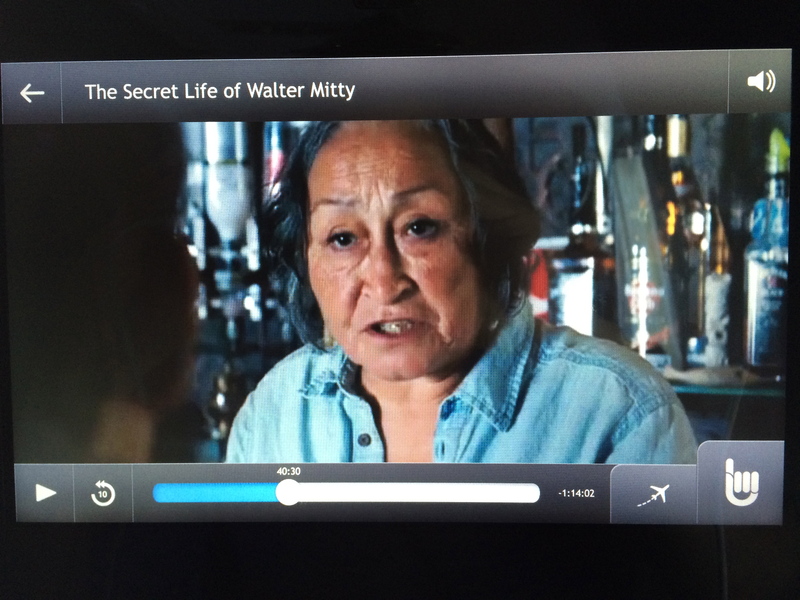 BUT – If this movie was more accurate, the sign would also be written in Greenlandic. Greenland is a dual-language country, so everything is printed in both Danish, the colonial language, and Greenlandic, the mother tongue. See here for examples of what signage in Greenland looks like. Also, I do applaud the simplicity of the rental car kiosk, as this level of simplicity can be pretty accurate for some places in Greenland, but there’s actually no such kiosk in Nuuk! To my knowledge, one can only drop off rental cars at Nuuk International Airport, not pick them up. 6. PARTIALLY CORRECT: THAT IS THE AIRCRAFT REGISTRATION FOR GREENLAND! See that alphanumeric code on the black part of the helicopter? OY-HZF. 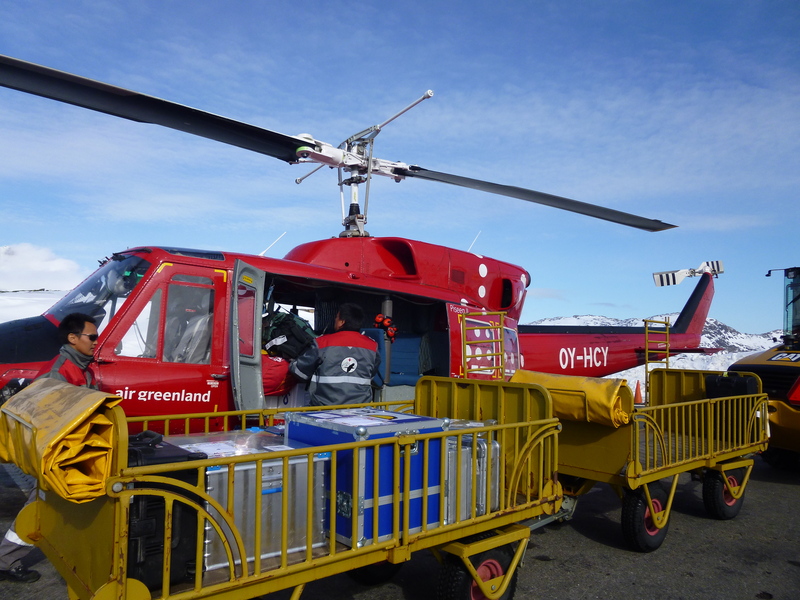 The “OY” part identifies the machine as registered in Greenland, and all the Air Greenland, AirZafari, GreenlandCopter, and Blue West Helicopters machines have a unique one. (FYI: AirZafari, GreenlandCopter, and Blue West Helicopters are companies offering tourist and charter flights). 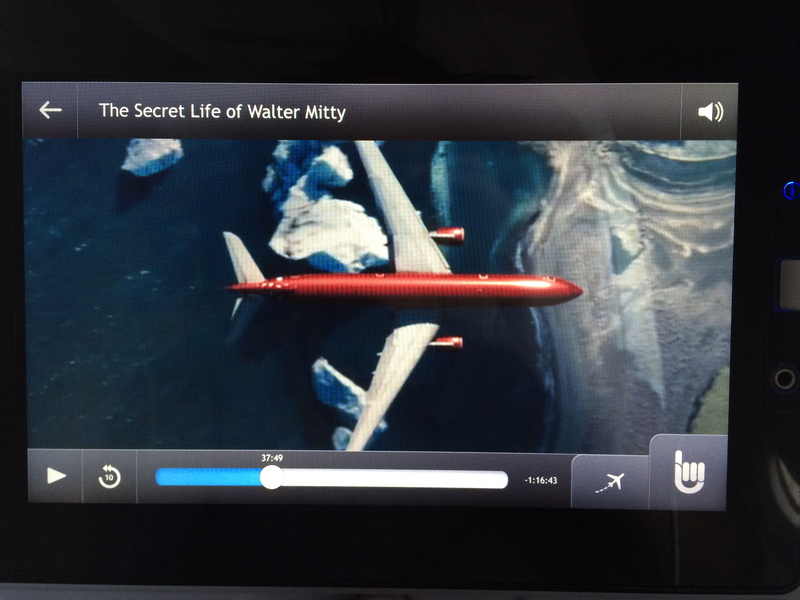 BUT – If this movie was more accurate, they would show a true helicopter that operates in Greenland. Everything else about this particular helicopter is incorrect (more explanation below). 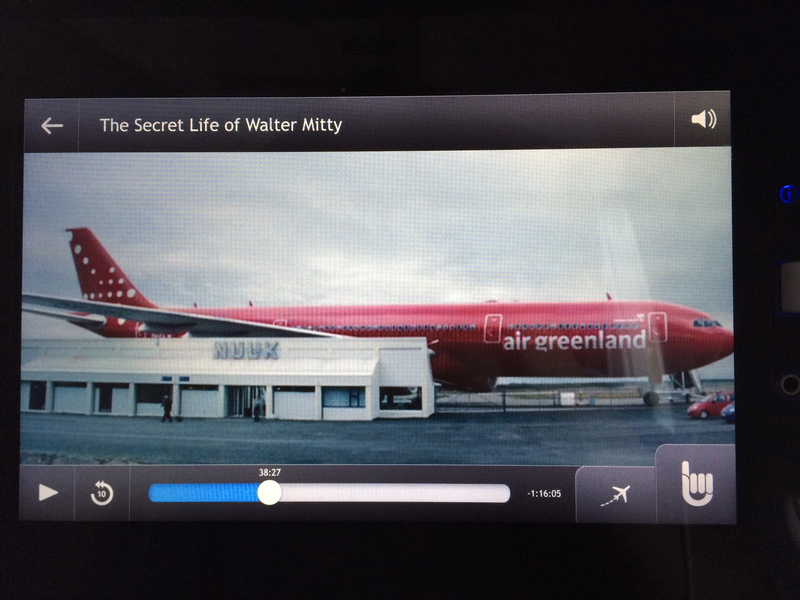 It makes me wonder why they went the extra mile to pretty accurately portray Air Greenland’s Airbus but not its helicopters?? 7. INCORRECT: THE AIR GREENLAND ATTENDANT’S SCARF IS A KNOCKOFF! While the dark blazer and white shirt that the Air Greenland attendant wears are true to Air Greenland staff uniforms, I believe the scarf in the movie is a knock off representation of the designer Isaksen, with whom Air Greenland and its daughter companies have a partnership. 8. INCORRECT: NORSAQ, AIR GREENLAND’S ONLY AIRBUS 330-200, WOULD NOT FLY TO NUUK! First, a small aviation lesson for you: the length of a runway is the key factor that determines what types of aircraft can land on it. An Airbus could never land at Nuuk International Airport because at just 1799 m / 1.1 mi in length, the runway is too short. 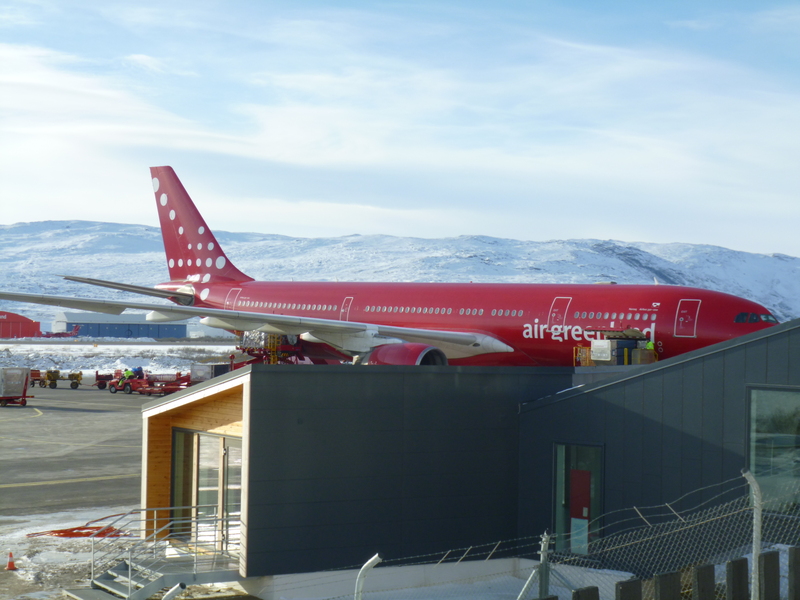 Air Greenland’s Airbus 330-200, named Norsaq, standing at Kangerlussuaq International Airport in March 2013. 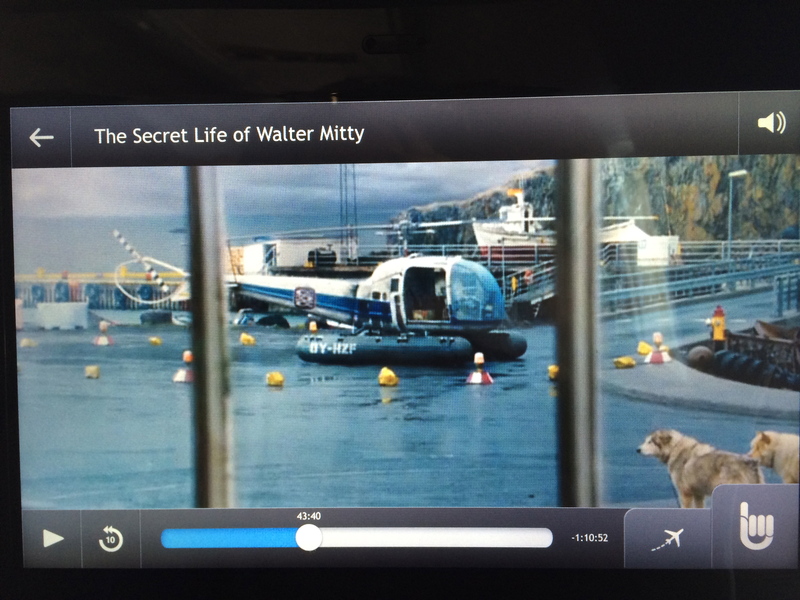 If this movie was accurate, Walter Mitty would be flying in a small propeller plane to Nuuk, like these Dash-8’s that Air Greenland uses for its seasonal international flights between Nuuk and Reykjavík and for year-round domestic flights around the country. 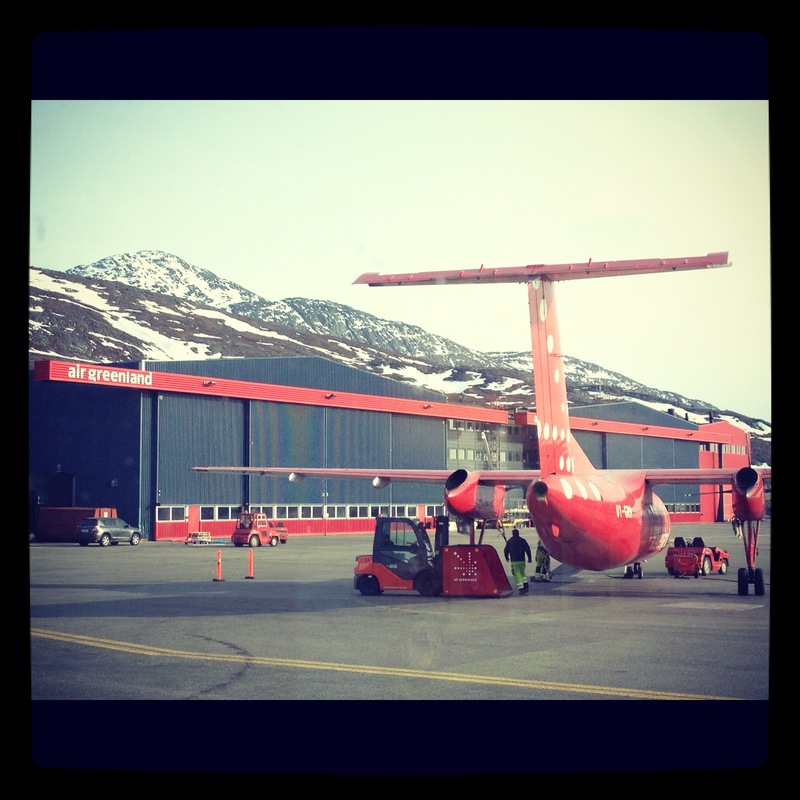 One of Air Greenland’s Dash-8 propeller planes standing at Nuuk International Airport in April 2013. True fact: there is only one town in Greenland where an Airbus can land. That town is the aforementioned Kangerlussuaq, located on the Arctic Circle on Greenland’s west coast. Air Greenland uses its single Airbus for year-round international flights between Kangerlussuaq and Copenhagen. 9. 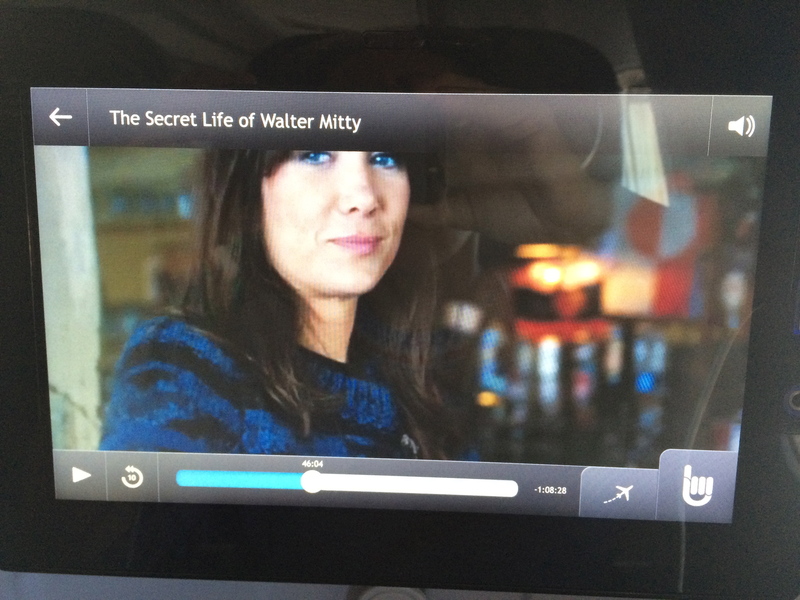 INCORRECT: THERE WOULD NOT BE AN IN-FLIGHT MEAL ON A FLIGHT TO NUUK! 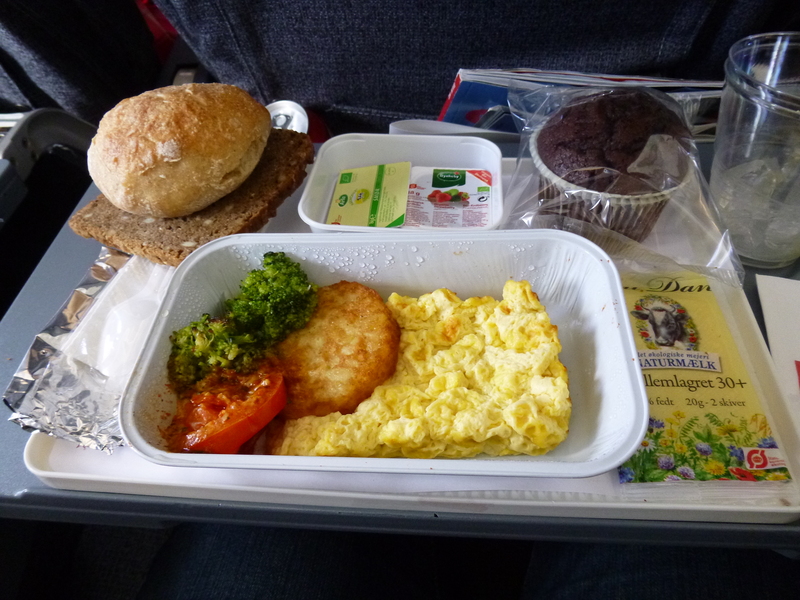 There is no such meal service offered on any Air Greenland flights servicing Nuuk – not on the seasonal international flights between Nuuk and Reykjavík, and not on the year-round domestic flights between Nuuk and several towns in Greenland. 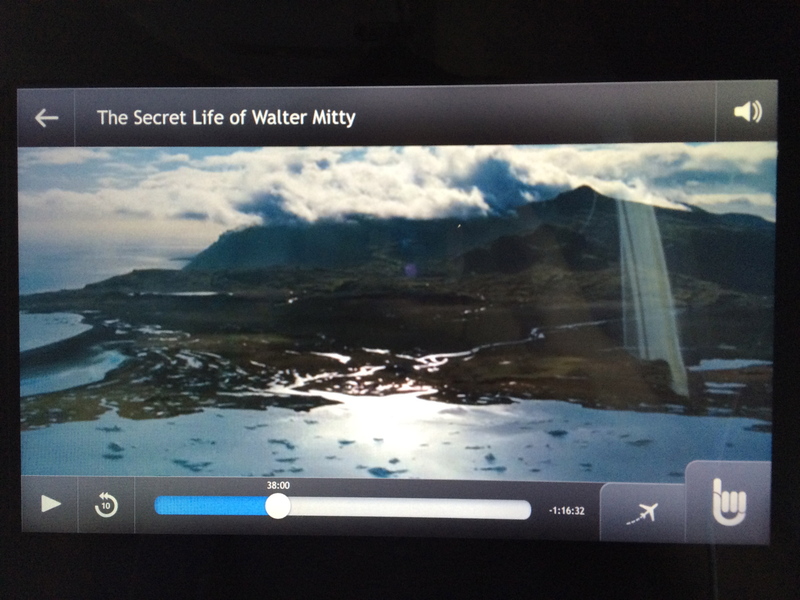 If this movie was accurate, Walter Mitty would be drinking tea or coffee and eating a chocolate chip cookie on his way to Nuuk. Plus a licorice-flavored hard candy just before landing. Airplane food on board Air Greenland’s transatlantic flight between Kangerlussuaq, Greenland and Copenhagen, Denmark. 10. INCORRECT: THAT IS NOT NUUK! There’s simply no way to fake what a real place looks like. That is not Nuuk’s landscape and it’s not the city, either. It’s Iceland! Although I don’t know exactly which town in Iceland. 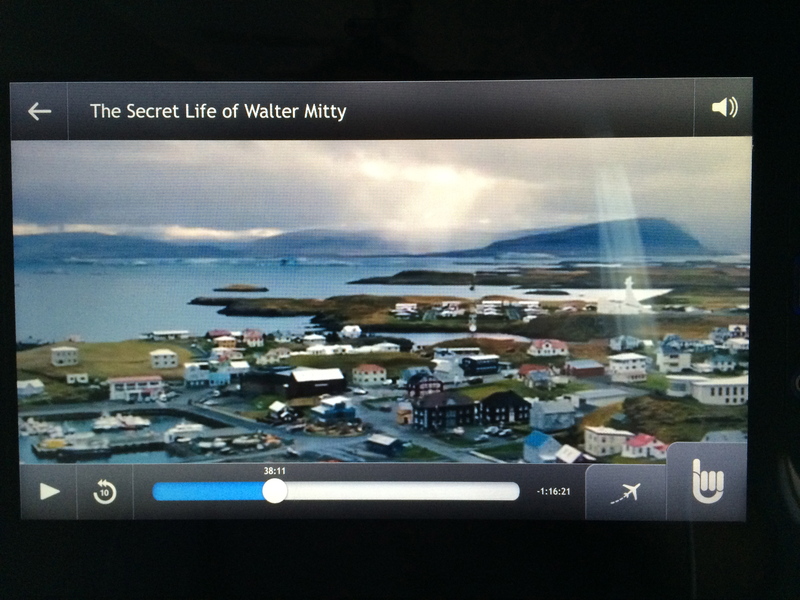 If this movie was accurate, Walter Mitty would see glaciers, Nuuk Fjord, and Sermitsiaq, Nuuk’s iconic mountain, when arriving to the capital of Greenland. 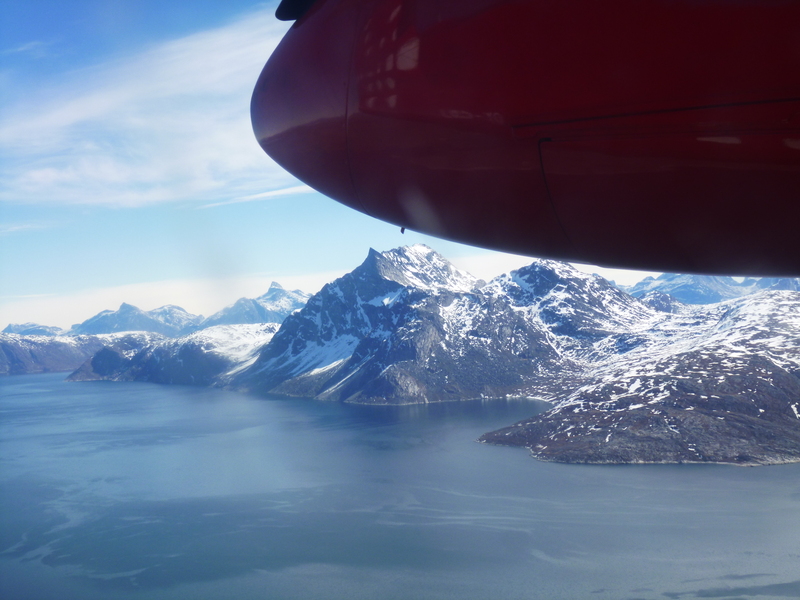 View over Nuuk Fjord and Sermitsiaq mountain just minutes before arriving to Nuuk International Airport. Photo taken in May 2013. 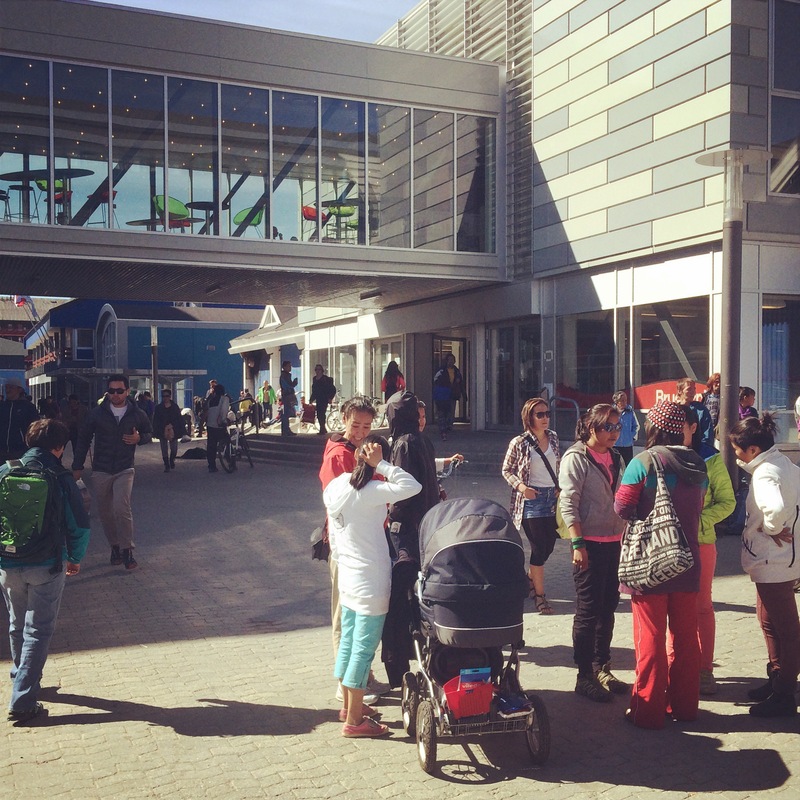 Watch this video to see what it actually looks like to arrive to Nuuk. 11. INCORRECT – NUUK IS NOT THAT SMALL! 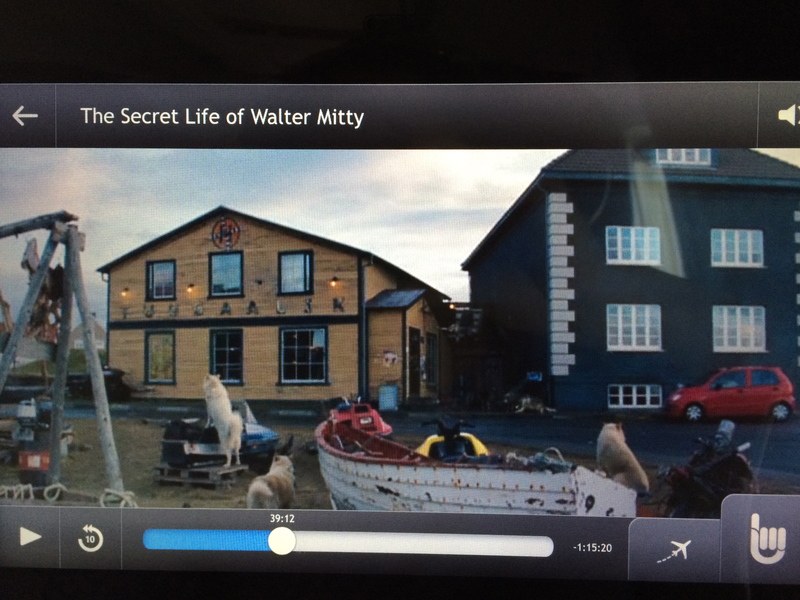 This shot from the movie reduces Nuuk’s size considerably to that of a sleepy fishing village. While that could describe other places around Greenland, it is definitely not what Nuuk is about! If this movie was accurate, it would show a far more cosmopolitan, bustling, and vibrant town like this! 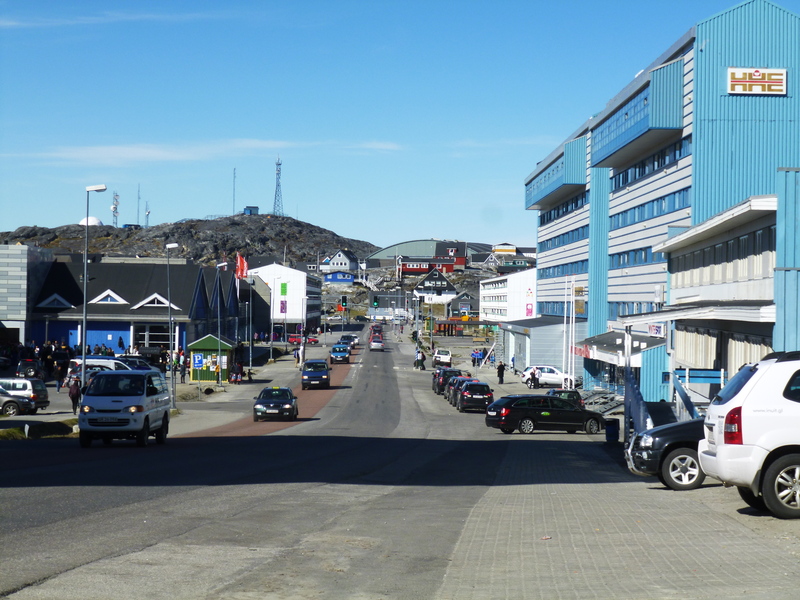 View down Aqqusinersuaq, the main street in Nuuk city center. Taken June 2013. Nuuk city center. Taken June 2014. 12. INCORRECT – THERE ARE NO SLED DOGS IN NUUK! The movie shows howling sled dogs and dog sleds along the side of the road, which is completely wrong because there are no sled dogs in Nuuk. 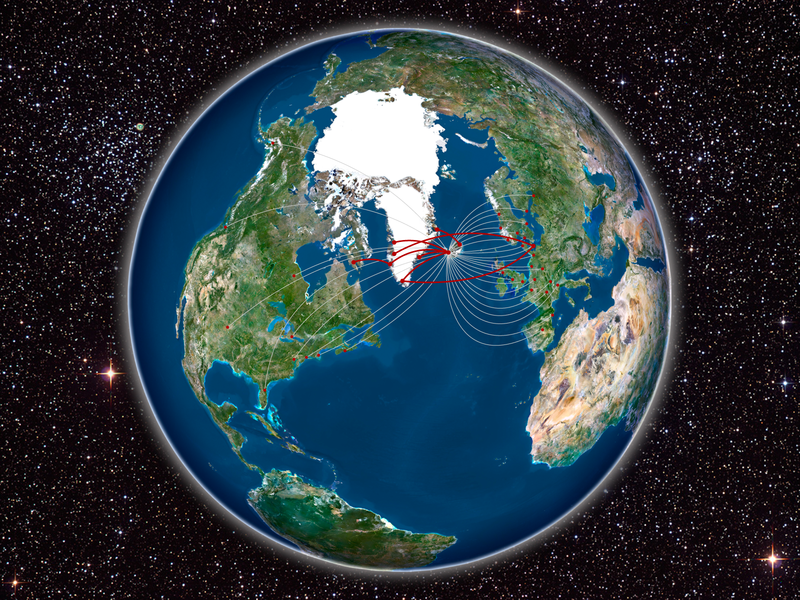 Dog sledding is one of the Big Arctic Five elements, so the association between sled dogs and Greenland is on the right track, but the location is inaccurate. If this movie was accurate, there would be no sign of dog sledding whatsoever, and instead there would be the usual dog breeds like Labrador Retrievers and Cocker Spaniels. Or Nova Scotia Ducktolling Retrievers like Kasik here, my host family’s dog. Walking the dog at the Colonial Harbor beach in Nuuk. Taken April 2015. True fact: The owning of sled dogs is directly related to the ability to drive them over winter sea ice for hunting and fishing. Therefore, sled dogs are only found where there is sea ice – in East Greenland and above the Arctic Circle on the west coast. Another true fact: In sled dog regions, other dog breeds are prohibited because no risk can be taken that the Greenlandic sled dog’s incredibly pure genetics gets tainted. 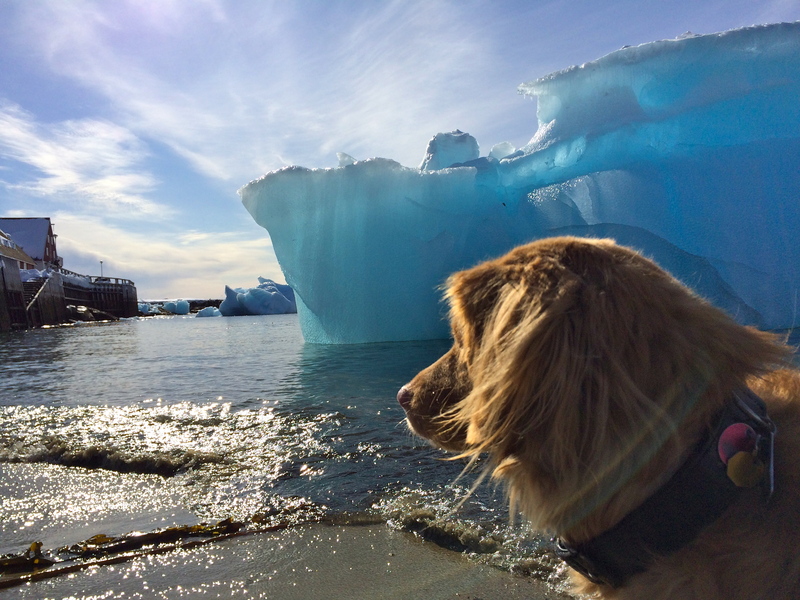 They have adaptations like extremely thick fur that lets them sleep outdoors 365 days a year, and they have innate super-canine powers like the instinct to know whether sea ice is thick enough to support a sled. 13. 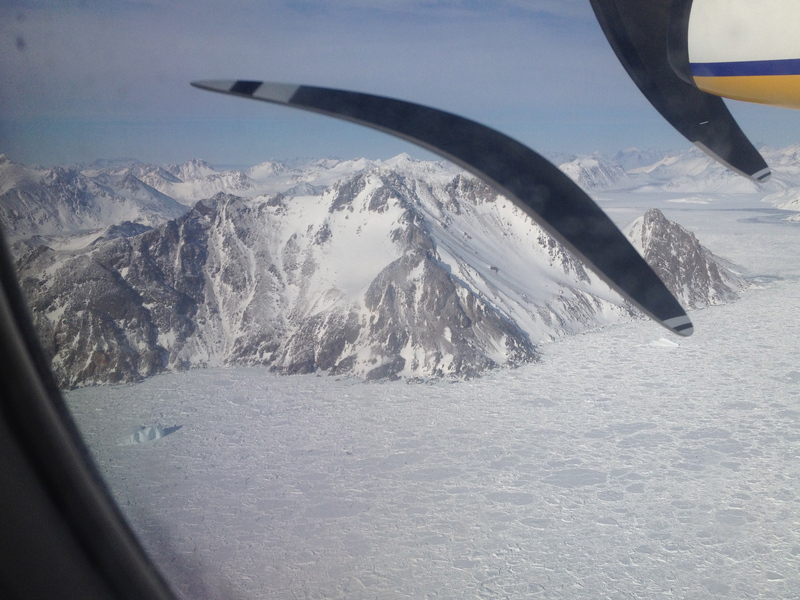 INCORRECT – THESE ARE NOT THE HELICOPTERS FOUND IN GREENLAND! First of all, this is nothing what the helicopters look like in Greenland. Not the type, not the paint, nothing. Second of all, outside of charter flights to Tele communications towers in the hills, helicopters aren’t commonly used in Nuuk and the capital region. 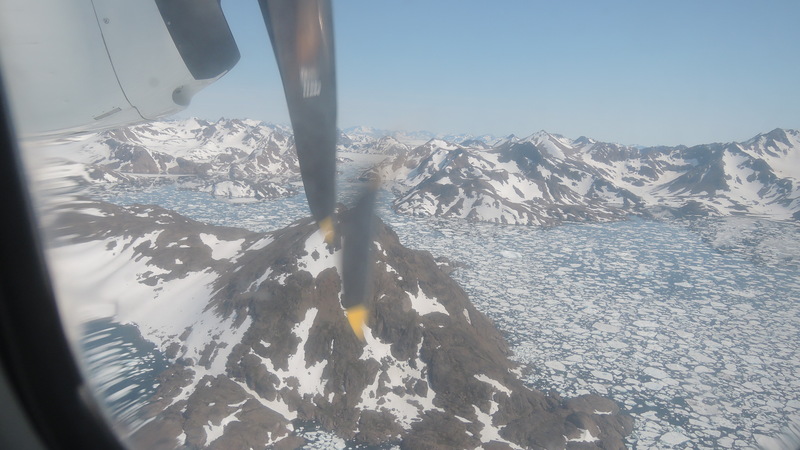 Helicopters are much more common in North Greenland, South Greenland, and East Greenland where there is a network of settlements to service. If this movie was accurate, they would show the actual helicopters used in Greenland like Bell 212’s, Eurocopter AS350’s, and Sikorsky S-61’s. Top: Air Greenland Bell 212 helicopter in East Greenland preparing for a passenger flight. Taken April 2013. 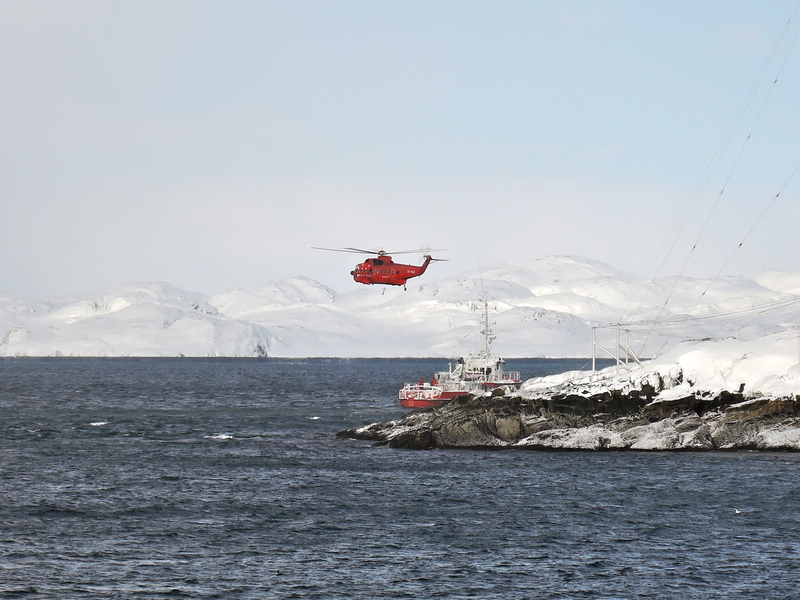 //// Bottom: Air Greenland Sikorsky S-61 helicopter in Nuuk doing training missions. Taken April 2015. 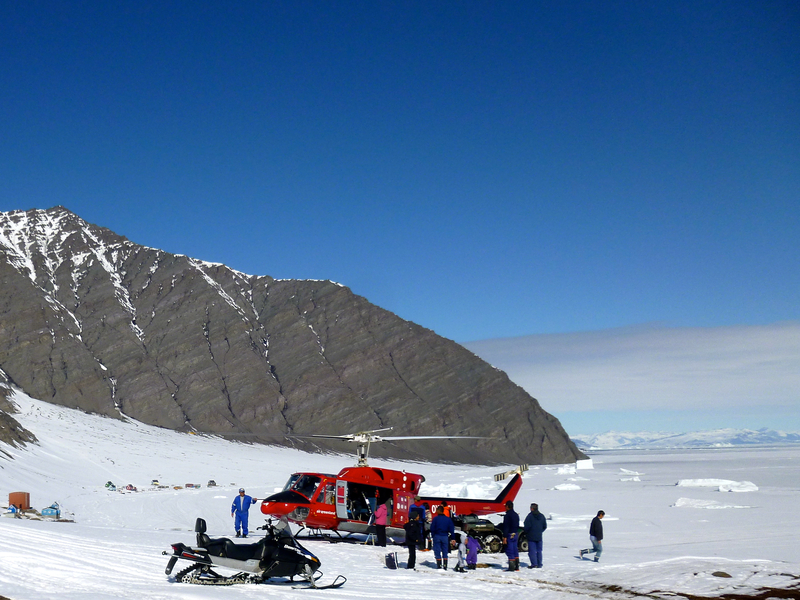 True fact: Helicopters are the most important air transportation machine in Greenland! There are, in fact, twice as many helicopters in the Air Greenland fleet as there are fixed-wing airplanes. Read more facts like this and about the flying experience in Helicopter Flying in Greenland, an article I wrote for the Visit Greenland newsletter in March 2015. 14. 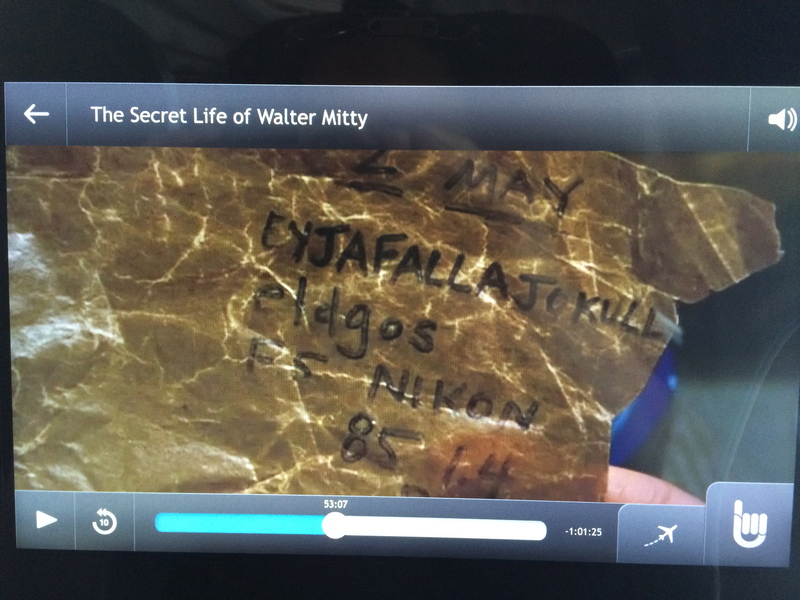 INCORRECT – THAT’S NOT HOW YOU SPELL EYJAFJALLAJÖKULL! Greenland and Iceland Combination Holiday! Photo credit: Mads Pihl / Visit Greenland. Nuuk by night. Photo credit: Skarphéðinn Þráinsson, www.skarpi.is. 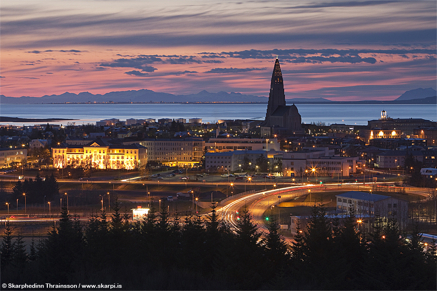 Reykjavík skyline. 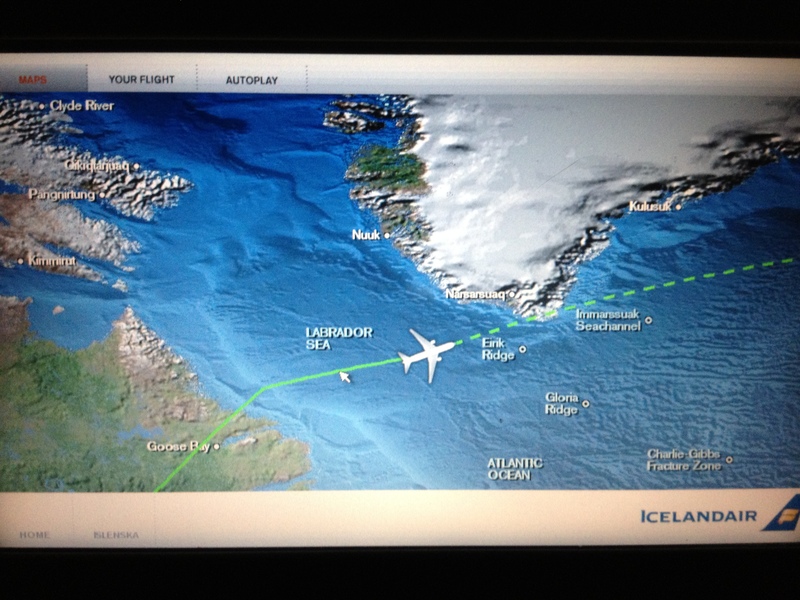 Greenland and Iceland – two adventurous destinations, close enough to hit in the same holiday! Read Visit Greenland’s latest newsletter all about combining Greenland and Iceland in the same trip. 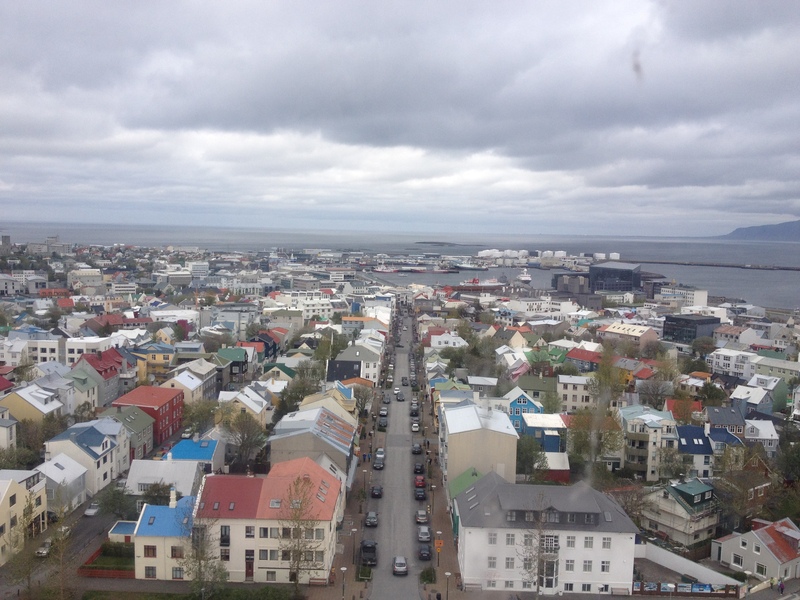 Compare wild nature across both countries… Learn about cultural opportunities in the capital cities of Nuuk and Reykjavík… and Delve into the Viking history that connects Greenland and Iceland forever. See you in the Arctic!